WCF, stands for Windows Communication Foundation, is a component of Microsoft .NET Framework 3.0. Fortunately, I have a project based on WCF and Windows Authentication. I have been spending a lot of time to study how to create a WCF Service with windows authentication. In this article, I'm gonna share my knowledge. The reason I want to have the WCF Service uses windows authentication is there are some sensitive data in our service. We don't want to everyone have the access to look at the data or service schema. And I don't want to write any custom code coz our project schedule is a little bit busy. So, we decided to use windows authentication and configure the access permission in IIS, which will save our team a lot of time. 2. 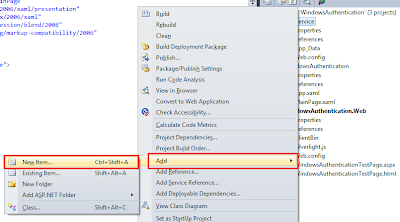 Create a new Silverlight project with an empty template. 3. 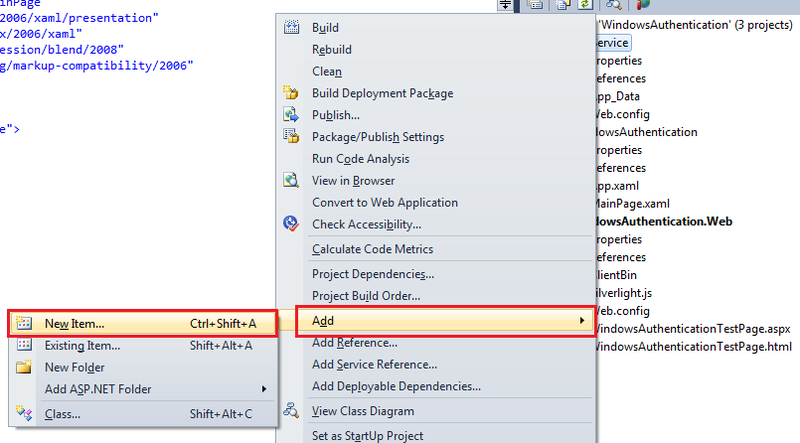 Click OK button to finish the wizard with ASP.NET Web Application Project type. 5. 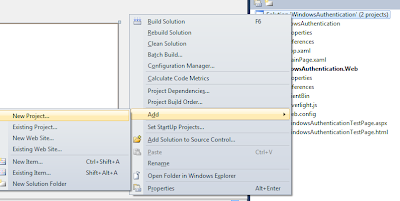 Select WCF from left panel, and then select WCF Service Application from the list. Click the OK button to create the project. 6. 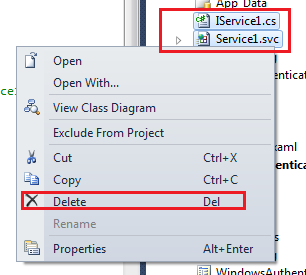 Select both the IService1.cs and the Service1.svc files in the WcfService project and then delete them. 8. Select Silverlight from the left panel, and then select the Silverlight-enabled WCF Service from the list. Click the OK button to finish the wizard. 9. Double click the Web.config file in the WcfService project. 13. 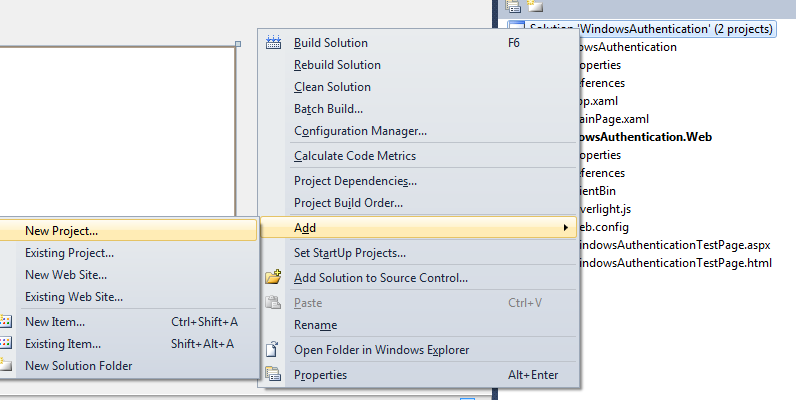 In silverlight project, add some controls to display the value which is got from that service method. When you debug the project, you can use the authenticationSchema="Ntlm", but when you try to deploy it, you need to change. 1. Double click the Web.config file in the WcfService project. 3. Deploy the service project to your server. 4. Edit you service reference address to the new web address. 5. 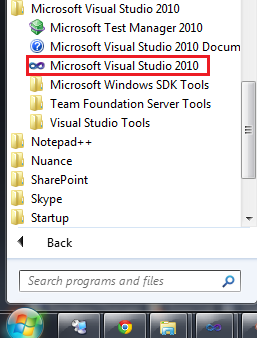 Deploy the silverlight project to your server. 6. You have to set both the service web site and the silverlight web site as Windows Authentication. 7. Browse your asp.net page, you should be able to see the value read from DB.